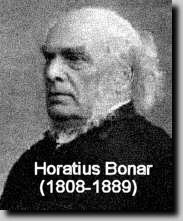 An excerpt from Horatius Bonar's "The God of Grace"
abounding sin--and far more abounding grace! abounding sin and super-abounding grace? of abounding sin and super-abounding grace? His resources of grace were adequate to meet it all. His grace, in His kindness to us in Christ Jesus." "For age after age sin ascended a higher pinnacle of rebellious ungodliness; but grace ascended along with it, and took its station far above it, like a bright canopy of heavenly azure. Age after age descended to lower and lower depths of hateful pollution; grace went down along with it." Do you think that man's sins and wickedness continue to expand and get "worse" over time? Or is all sin, just sin; and equally as wretched? I dont think that the sin has gotten worse in a sense of one sin being worse than another. I do believe that there is more of it though. More sin = More grace. Back in the OT we had people actively worshipping false idols and gods. We had pedofiles, murderers, etc... As Solomon wrote, there is nothing new under the sun. I think it would be safe to say that in modern America, every city has Christians living in it. Think back to Sodom and Gomorrah, only one guy was found righteous in the whole city. My point is, sin has been sin since the fall, yet it seems to mutiply through the ages, but God has been faithful to bestow grace no matter! This is what I perceive the author trying to communicate.